Coldplay perform their smash hit 'Paradise' inside the Olympic Stadium. 14. 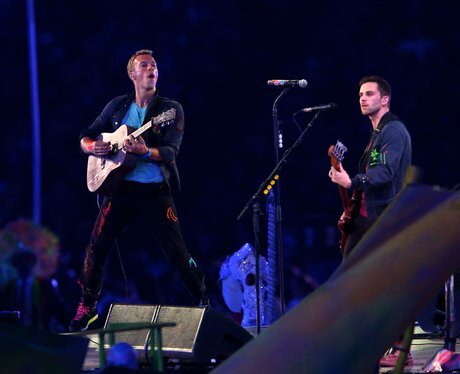 Coldplay perform their smash hit 'Paradise' inside the Olympic Stadium.